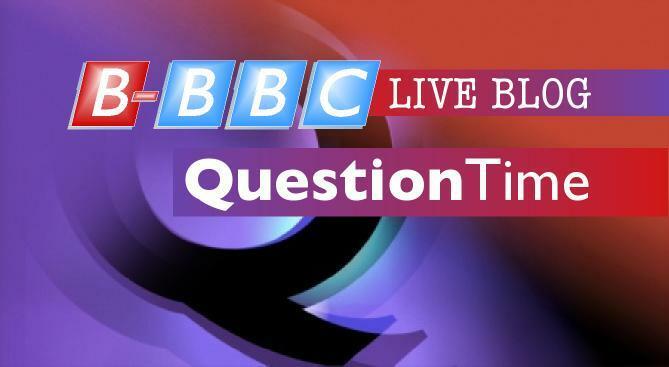 Question Time tonight comes from London and features a panel so dreadful it will make your eyes bleed. On the panel we have Andrew Lansley, Red Ken Livingstone, former chief press spokesman for the Liberals Mark Littlewood, NHS-focussed ‘comedian’ Phil Hammond and deputy editor of the Evening Standard Sarah Sands. TheEye is away again tonight, so leaves you in the hands of the Two Davids…Vance and Mosque in the moderator seats. Well this is the system which this government inherited from labour and which labour and the BBC and the unions have continuously fought against the government from changing. At every step, the government has been attacked and undermined and all the steps the current government have taken to tackle these failures have been attacked and criticised by the BBC. C’mon guys, that’s not fair to Mark Littlewood. Agreed, but the BBC argument about “panel balance” would be that he was on as a second Coalitionista with a LibDem hat. I knew of his work with the IEA, so was happy to see him on. Probably the authentic type of Liberal…certainly he drew the anger of the planted stooges in the audience. In the Temple of the NHS, he did have a go at overturning a table or two: so I reckon he`s got the courage that the likes of Lansley and Hammond lacked. Littlewood was a champ. Better than any Tory panelist in ages. Andrew Lansley, Phil Hammond . That is about as wet and useless as you can get ! Ooops, just realised I misread it as Philip Hammond, the Tory politician. Silly me, couldn’t have 2 Tories on the same panel, could we ! No Tories again as usual. I suppose the weekend starts here. As my late ( scottish ) father would have said , in one of the languages he was fluent in, ” Alles verloren ” ! As per usual, the question time gang present an action packed show. The same old winning formula of hiring a panel to sit in a semi circle, listen to hostile pro labour numpties have a go at the Con member. The chief bully, dumbleby, allows below the belt punches a plenty! The assembled, picked at random, audience of local labour officials, who still fuming at the dastardly Govt. Who dare try and hold them to account for being overpaid and under worked, send in their off the cuff questions…..
Isn’t it comforting to know that yet another barely watched BBC programme promotes the pro-labour Viv Nicholson school of fiscal solution to everything. As there is no point in airing this type of trash anymore, I expect we could well get even more as the BBC don’t /wont do reality. When the spend, spend, spend solution is far, far, far from what a 12 year old (Hello Dez) can deduce from the dunce’s corner that reckless socialist spending sprees don’t add up, isn’t it time for basic math’s to be compulsory for the left-wingers “working” for the State Broadcaster. Money counts, the BBC have plenty of it, what a shame they can’t place a value on it, let alone even bother to embrace impartiality whilst squandering their largesse. The BBC are disappointed that crusty old emperor Red Ken and his consort Antonius Blarus won’t be up there on their high thrones for the opening of the Olympic colusseum next year. That Germanic barbarian Boris has crashed the party. Watch the BBC pull out all the stops to try to get Ken back where he belongs. (Tony is exiled for tax reasons). Ah c’mon folks, you just don’t get it. You blow out State spending and get in a hell of a mess. You remedy this by even more spending which ‘stimulates’ the economy. You can then carry on blowing out State spending safe in the knowledge that the subsequent mess can be resolved by even more State spending. The Brothers, the Benefits party, t’Pooblic Sector, BBCGuardianNUJ, and the insane asylums of UsedtobeGreat Britain are filled with people who doubleplusunthink like this. …and PS remember the names of the goto ‘pro-spend’ economists the above oxygen thieves use to justify their position. A couple of years down the line the economic background may have changed and perhaps said economists will be advocating a reduction in (the rate of increase of) State spending. Expect the ot’s to seamlessly rotate their allegiance to whichever group of economists at the time are advocating greater State spending. ‘The State is that great fiction where everyone tries to live at everyone else’s expense’. “Two Eds” Flanders and Blanchflower will never advocate a real reduction in spending. Oi, Dopey Dez, come and have a go. (If you think you’re hard enough). How could anyone resist such a charming invitation. Of course I agree with you Bupendra. Anyone with a mortgage should simply stop eating. Without all that expense of buying food they would be able to pay off their debts in five years rather then ten. It’s a perfect plan. What could possibly go wrong. That you don’t have a mortgage. Dopey Dez with the BPBC (British Palace-Building Corporation) world view in a nutshell. ‘I read this on a Unison poster at a DEMO!!!! so it must be true’. Give that man the Economics brief.